The Callaway FT-i driver was Callaway's square driver. Square drivers — that is, drivers with square clubheads — were among the hottest trends in golf equipment for a brief time around the mid-2000-aughts (2005, 2006, 2007), but faded afterward. They just never caught on with consumers. What was the point? Square driver heads, including that of the Callaway FT-i, had a shape that allowed the back corners of the head to pull weight farther away from the clubface than is possible in traditionally shaped driver heads. This is one way to boost moment of inertia. So Callaway's square driver and other square-headed drivers focused on accuracy rather than distance. 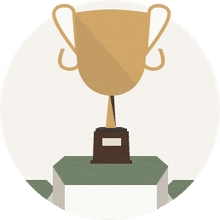 The problem for sales, it turns out, is that amateur golfers love to go deep. 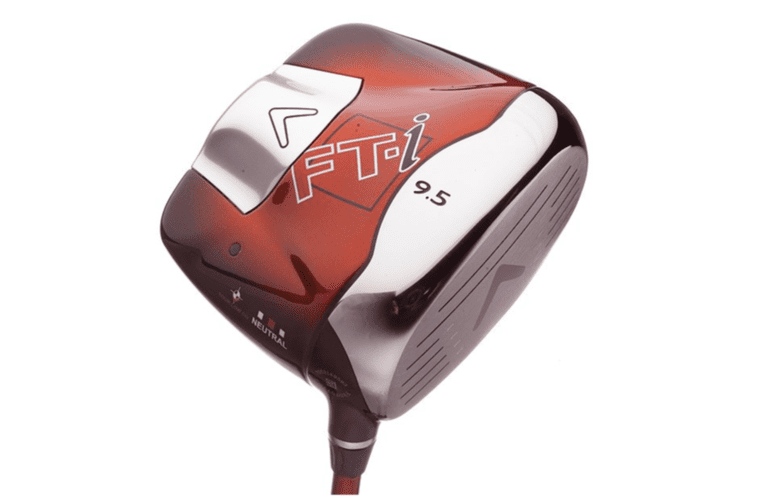 The FT-i's look, like all square drivers, was very odd at address, and square drivers made a very loud and, to many golfers' ear, unpleasant bonk at impact (rather that that crisp thwack we love). The Callaway FT-i driver came out in late 2006. It was followed by the Callaway FT-iQ driver, which had a square-ish head shape and was released in 2008. By the time of the FT-iz driver, released in 2010, Callaway was back to the more typical clubhead shapes in its drivers. In looking at our original article on the FT-i driver below, we were a bit too optimistic about the future of square-headed drivers. But still, the technology did produce more forgiveness, and if you could get used to the look and the sound there were plenty of golfers these square drivers could help. The FT-i driver is still available from retailers today who deal in used golf clubs. But it might even be possible to acquire a brand new one: We've seen Callaway itself offering new FT-i's on Amazon (albeit for around $500). You can also check Callaway Pre-Owned to see if any used models are available directly from the company. And we recommend searching for this driver in the PGA Value Guide before shopping used to get a sense of current values. At the time of the writing, used FT-i drivers were selling around $50. Original Article: Callaway FT-i Driver the Shape of Things to Come? Square may well be the shape of things to come in drivers. It's definitely the shape of the Callaway FT-i driver, which follows Nike's Sasquatch Sumo2 as the second square-headed driver from a major manufacturer. Why would manufacturers all of a sudden start tinkering with the traditional shape of metal clubheads? What's so hip about square? It's all about moment of inertia, or MOI. The higher a club's MOI, the more resistant the clubhead is to twisting on off-center hits. If you strike the ball closer to the toe of the driver, for example, you expect the clubhead to twist a little at impact. A higher MOI club will twist less, limiting the damage from the off-center strike compared to a lower MOI driver. The higher MOI club will be, in layman's terms, more forgiving. And a square-headed driver gives talented engineers and club designers new ways to increase the MOI. After all, the back corners of a square-headed driver don't exist on a traditionally shaped driver head. The Callaway FT-i driver is called by the company its "most advanced driver ever." And it's called by Gary Player "the best driver I have ever had the pleasure to use" (yes, Player is on the Callaway payroll). The Callaway FT-i driver incorporates the company's multi-material Fusion approach to building a clubhead, just with a completely new geometry. It is 460cc in clubhead volume, with discretionary weight positioned in the rear corners of the clubhead. The FT-i also utilizes what the company calls "Complete Inertial Design" to target not only horizontal MOI (what we usually think of when we hear MOI - resistance to twisting on off-center hits heel-to-toe), but also vertical MOI (resistance to twisting on off-center hits sole-to-crown). The FT-i driver comes in Draw, Neutral and Fade models, and boasts the largest titanium cup face that Callaway has yet produced. The Callaway FT-i driver is available in standard and Tour models as well as men's and women's versions. The standard model has lofts of 9, 10, 11 and 13 degrees; standard shaft is the graphite Fujikura Speeder 586. The 10- and 11-degree models are available left handed. The Tour version has a slightly more open face. Tour version lofts are 8.5 and 9.5, with a left-handed version of the 9.5 also available. The standard shaft for the Tour version is the graphite Fujikura Speeder 686. The official coming out part for the Callaway FT-i driver takes place at the January 2007 PGA Merchandise Show. It will be available at retail beginning in February 2007 with an MSRP of $625 per driver.